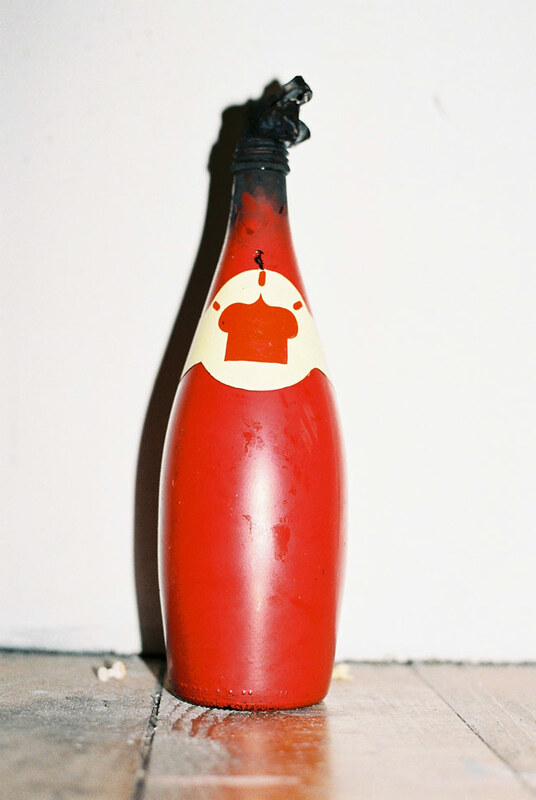 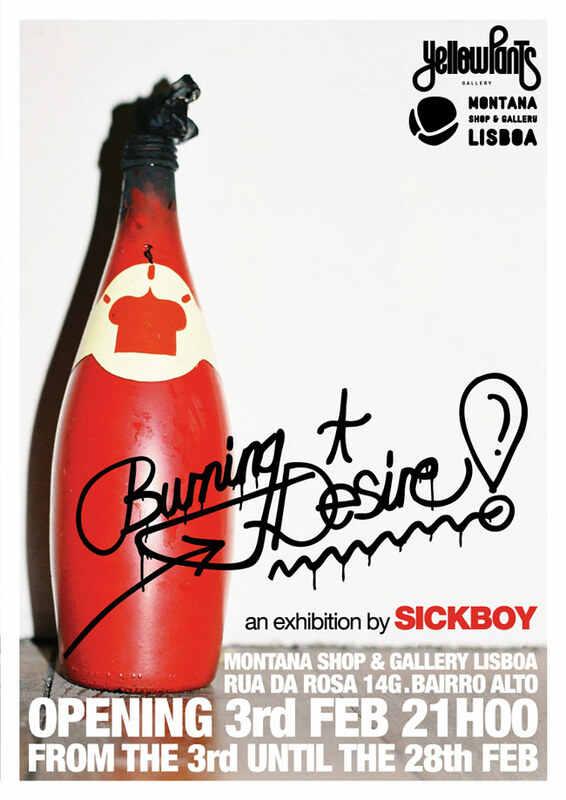 Yellow Pants Gallery is proud to present BURNING DESIRE, a solo exhibition of new work and site-specific installations by Sickboy, this February in Montana Shop & Gallery Lisbon, Portugal. 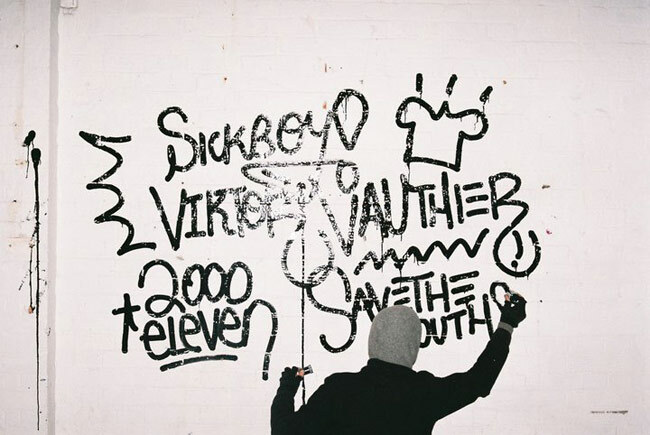 Sickboy is a well known London based street artist that got us used to strong visuals and bold messages, both in and out of gallery spaces. His commercial work relies on prints, mixed media canvases and some amazing installations to set up the fantastic universe whereSickboy inhabits. 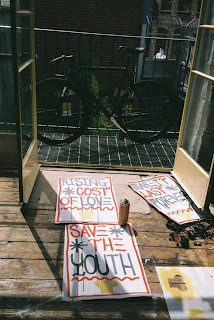 The exhibition opens on the 3rd of February 2011, and it’ll stay until the 28th at Montana Shop & Gallery Lisboa. 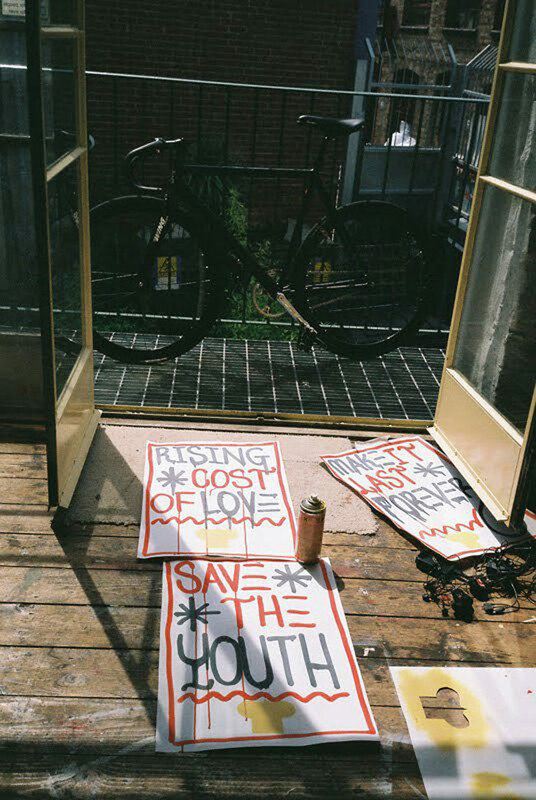 About Yellow Pants: Yellow Pants Gallery represents a select group of emerging and established artists focusing on showing and furthering urban and contemporary art. 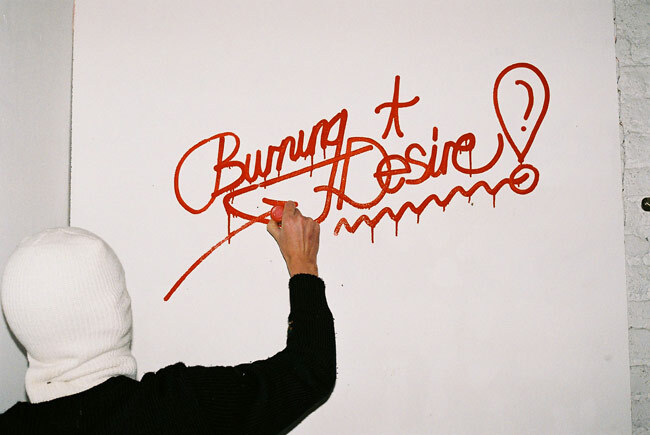 We are committed to introducing challenging and innovative works of art to an international audience while pushing the boundaries of the art scene in Lisbon.